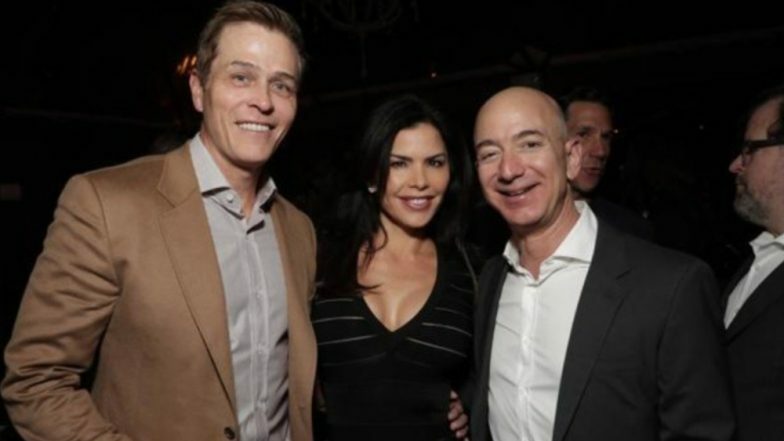 Los Angeles, April 6: Following the divorce confirmation of world's richest individual Jeff Bezos with his wife MacKenzie Bezos, TV anchor Lauren Sanchez - in a relationship with Amazon CEO - had filed for a divorce with her husband Patrick Whitesell. Earlier, the Bezos pair officially got separated on Thursday after billionaire pair announced they were getting divorced in January. This happened after National Enquirer reported that Jeff Bezos and Sanchez were having an affair. Later, Bezos had accused the tabloid's publisher of threatening to publish explicit photos of him unless he stopped investigating how the Enquirer obtained his private messages with Sanchez - known for hosting Fox TV's 'So You Think You Can Dance'. On Thursday, Jeff's Wife MacKenzie Bezos - while announcing the official separation report - stated that she is happy to give him 75 per cent of the stocks in a company to which he has dedicated his career. However, he is entitled to $36 billion in the Amazon stock.